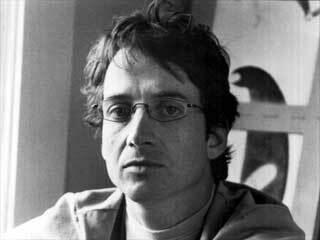 On the last day of public radio month Stone Gossard does a live interview on Radio Louisville 91.9 WFPK. The interview started out with Gossard discussing his "other" band BRAD and its newly released record, United We Stand. The host brought up the discussion of people calling it a "side project" which Gossard dismissed saying that was just semantics. It's a real band that operates independently from Pearl Jam. When asked if BRAD and PJ age differently Stone compared the longevity of each band to being in a marriage. He said that long term bands have a certain wisdom and gratitude that develops over time. He joked that he's a polygamist because he is in two long term bands. He described the longevity as a "triumph of will" and said continued by saying that tension and conflict are just part of it. Double Bill with Pearl Jam and Soundgarden? Stone said he'd feel bad for Matt Cameron but also said, "sounds fun, I think we should do it." BRAD will re-release prior records potentially with a few new tracks. Stone said not to expect much new stuff but that they may find something as they continue digging through the old files. Stone said that he spent less time on the nostalgia marketing than Jeff and Eddie but still believes Pearl Jam's best records are ahead of them. He announced that PJ will have another box set but it's release is not set yet. Jeff and Ed spend a lot of time doing the packaging to make it worth it for super fans what to see and feel the bands history. Bay Leaf, Stones personal solo record has turned 10 years old. He says he's proud of that record and expects to release another solo album in the next couple of years. It's fun to be a fascist in the studio when doing a solo album. How's Eddie doing? Hurt his back when moving a bench in his back yard. His arm was going to sleep. Going through physical therapy now. Public radio - "Something that's worth paying for." He praised KEXP for being like a band by collaborating with and trusting each other. Great to hear Stone this morning!